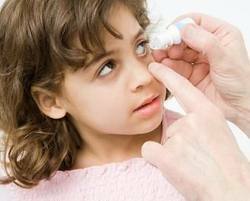 eye care « Howard J. Bennett - Pediatrician and Author in Washington, D.C. In my last blog, I mentioned that 6 muscles control the movement of each eye. This is a lot for a newborn’s brain to coordinate. As a result, it’s common for a newborn’s eyes to “wander” in the first few months of life. 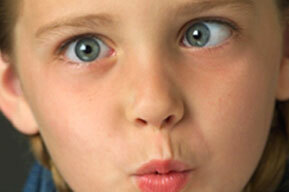 In most cases, the eyes move inward instead of outward. They are also more likely to wander when a baby is tired. If the family history is positive for strabismus (lazy eye), the baby’s eyes are constantly out of balance or the baby’s eyes wander after 6 months of age, she should see a pediatric ophthalmologist. Keep in mind that eyes are supposed to converge (come together) if someone is looking at an object close up. Like all referrals, it’s best not to schedule the appointment during the baby’s nap time because she’s more likely to cooperate with the exam is she isn’t tired.